IQS Directory provides an extensive list of tube forming equipment manufacturers and suppliers. Utilize our website to review and source tube forming equipment manufacturers with our easy-to-use features which allow you to locate tube forming equipment companies that will design, engineer, and manufacture tube forming equipment for your exact specifications. Our request for quote forms make it easy to connect with leading tube forming equipment manufacturers. View company profiles, website links, locations, phone number, product videos, customer reviews, product specific news articles and other production information. 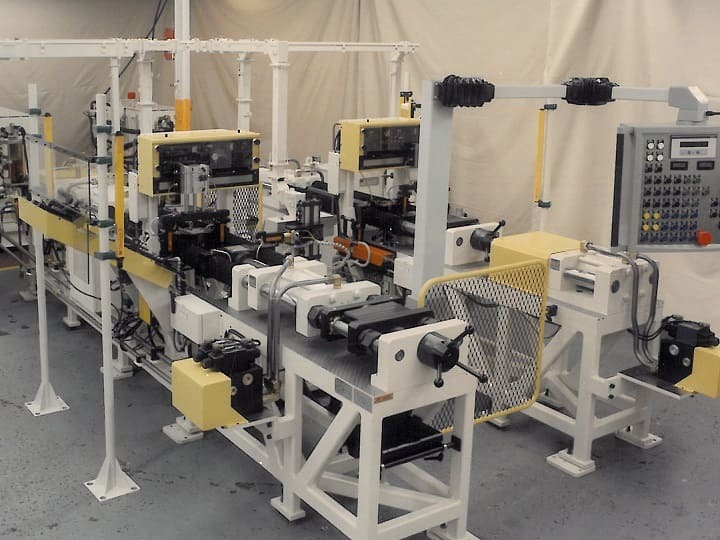 We are a leading manufacturer directory who will connect you with the right manufacturers whether you are looking for tube bending equipment, tube swaging machines, or tube end forming machines. Torrington produces the highest quality machines for the tube forming industry. Our dimensions are accurate to a thousandth of an inch. The equipment that we produce is meticulously checked for quality, making it possible for you to produce perfectly formed parts every day. Contact us today to learn how we can provide you with a custom solution to your tube forming needs! Burr Oak Tool offers global experience & local solutions in the design, manufacture and service of tube forming machines. Over 65 years of expertise go into each part and product offered at Burr Oak Tool. Our focus is on safe, accurate, timely & cost effective solutions to your specific production needs. Our product line includes fin lines, fin dies, tube expanders, tube benders, tube cutoffs, coil forms and other fin line equipment for the HVAC/R coil applications and tube processing industry. To put it simply, tube forming equipment are machines that are utilized to shape and manufacture all kinds of different tubing products. Tubes can be made from a number of different materials through a variety of different processes, from roll forming to hydroforming. Each of these processes offers their own unique advantages, as each process results in a different form of tube. In order to find the best tube forming equipment necessary for your application consulting with a knowledgeable expert is the best course of action, as they will be able to work with you to develop a solution that will meet all of the requirements and needs of your specific application. The two process examples given above, roll forming and hydroforming, both use different types and styles of tube forming equipment in order to get the job done. Roll forming functions as a process that turns strips of metal into a tube shape. This is a long process as the strip of metal passes through multiple rollers until it reaches the final, desired look. Because these rollers only impact the metal in small amounts at a time, the risk of damage or deformation is greatly reduced. This also makes roll forming one of the more expensive styles of tube forming equipment. The reason being is that these machines are rather large and due to the nature of the process must be highly specialized as they are often operated via a computer. However, the precise nature of this process makes it a very useful one in applications where the slightest deformation or miscalculation can greatly impact the overall application. Hydroforming is used to shape all kinds of tubes by expanding them with water or other liquids. To do this the operator closes off the tube, which is typically a thin sheet of metal, from here a very high pressure liquid is forced into the metal tube which causes it to expand and fit the shape of the mold. Once it is removed from this mold, it resembles the final desired product. 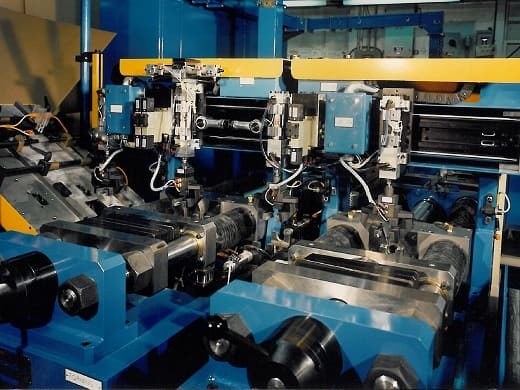 This is also a relatively expensive process, but as with all things in the manufacturing sector if you shop around between different tube forming equipment manufacturers you will find one that specializes in your application or industry which not only gives you a better final product but also may help out in terms of price point. Push Pull Tube Forming Machine - Torrington Swager and Vaill End Forming Machinery Inc. Push Pull Tube Production Line - Torrington Swager and Vaill End Forming Machinery Inc.